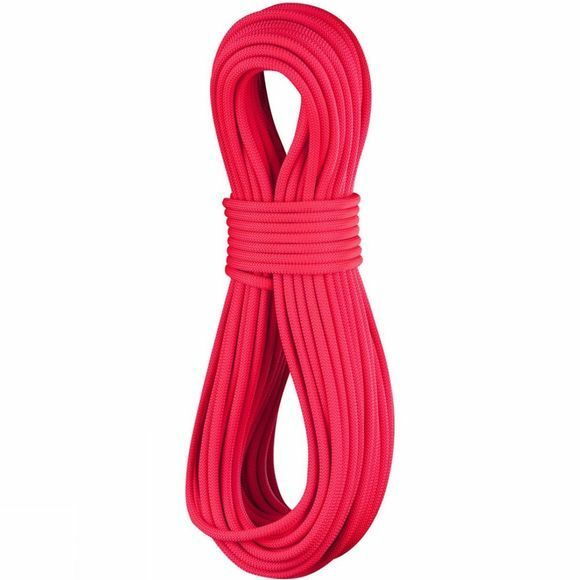 The Canary Pro Dry 8.6mm 50m Rope from Edelrid is an ultra-light, high-end rope with triple certification. With its 8.6 mm diameter and weighing in at just 51 g per metre, the Canary is one of the thinnest and lightest single ropes in its class. The thicker sheath proportion makes it the most robust lightweight rope on the market .